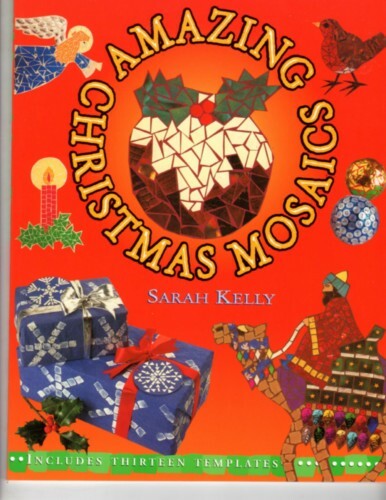 Barron's Amazing Christmas Mosaics craft instructional softcover book. 48 pages. Sarah Kelly. Includes thirteen templates. Contents include Materials, Techniques, Projects: Christmas Tree Card, Snowflake gift wrap, Snowflake gift tags, Papier mache Baubles, Figgy pudding card, Jewel night light jar, Cracker place cards, Stained glass candle sticker, Flying Angel mobile, Christmas Crowns, Furry Reindeer Mask, Three Kings Frieze.